Home > Printable Coupons > High Value Coupons | Barney Butter, Cabo Fresh & Revolution Foods! 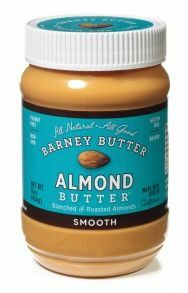 High Value Coupons | Barney Butter, Cabo Fresh & Revolution Foods! There are a some brand new high value coupons to print now! These will go fast, so if any of these sound good to you like a $4 off nut butter coupon then now is your chance! And pick up FREE Cabo Fresh guacamole at Kroger during their B1G1 sale!